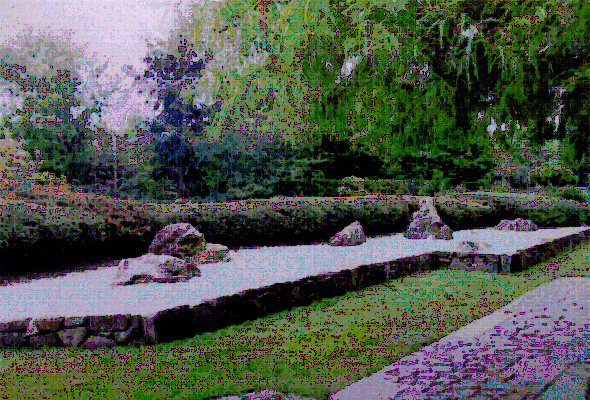 2) 日本の庭園作家集（1985）：西独ガーデンショウ日本庭園、庭　別冊　第42号：建築資料研究社，p60（写真）、pp 134-135（解説と平面図）. 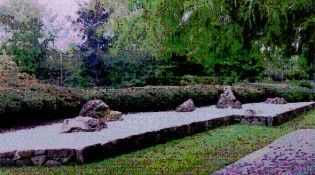 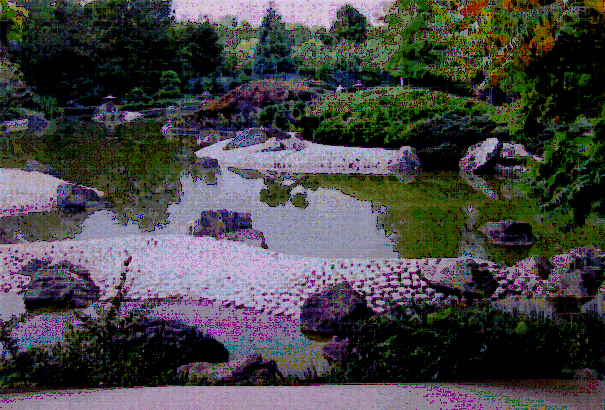 The Japanese Garden at Rheinaue Park was a present from the Japanese government to the City of Bonn. 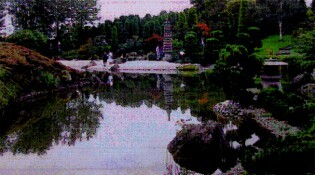 The garden was designed according to the plans of Dr. Sato Akira, president of the Japan Landscape Association, on the occasion of the Bundesgartenschau (Federal Horticultural Show) in 1979. 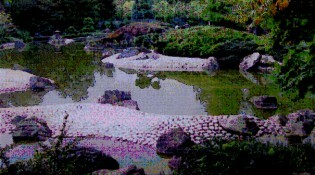 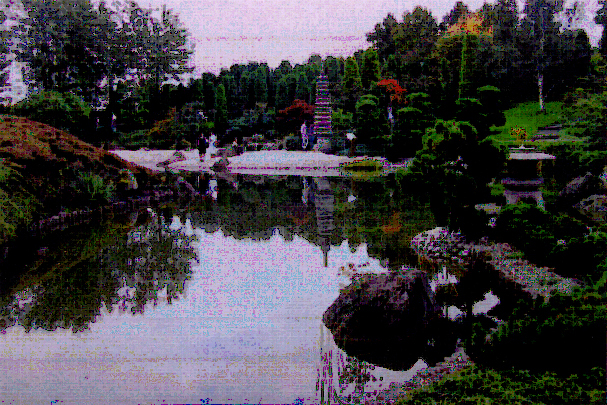 About 500 tons of stone and various shrubs and trees, including black pine, Enkianthus perulatus, azalea, dwarf bamboo, and bush clover were imported from Japan to Bonn and arranged into an artificial hill landscape with a pond and pebble beach.